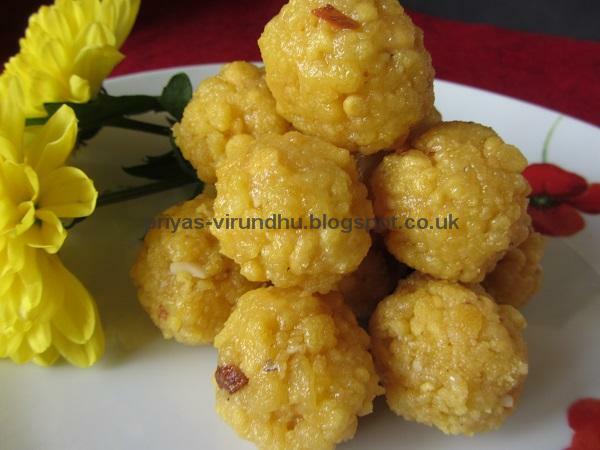 Wash the thoor dal and pressure cook it, with turmeric powder, 2 cups of water for 3 or 4 whistles. Mash the cooked dal properly, add a cup of water and keep it aside. Extract the tamarind juice with ¼ cup of water and keep it aside. 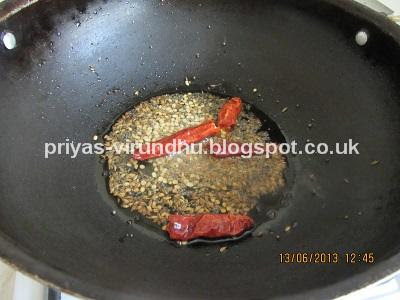 Heat oil in a kadai, splutter mustard seeds, add cumin seeds, urad dal, dry red chillies, curry leaves and sauté well. 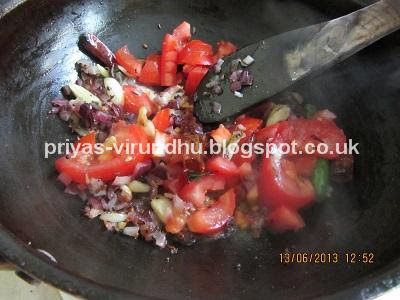 Add onions, green chillies, garlic and sauté until it turns golden brown. Add chopped tomatoes and sauté until mushy. Now add the cooked dal, tamarind extract, salt and let it boil for 5 – 8 min. 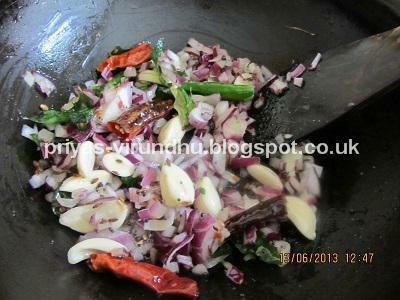 Now switch off the stove and garnish it with coriander leaves. Always wash and soak the dal for atleast 15 min so that you dal cooks fast and soft. 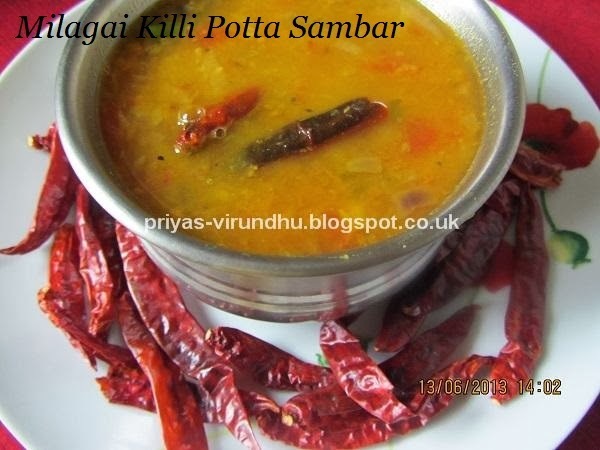 Yummy delicious Milagai killi potta sambar is ready, serve hot with rice, idlis or dosas. 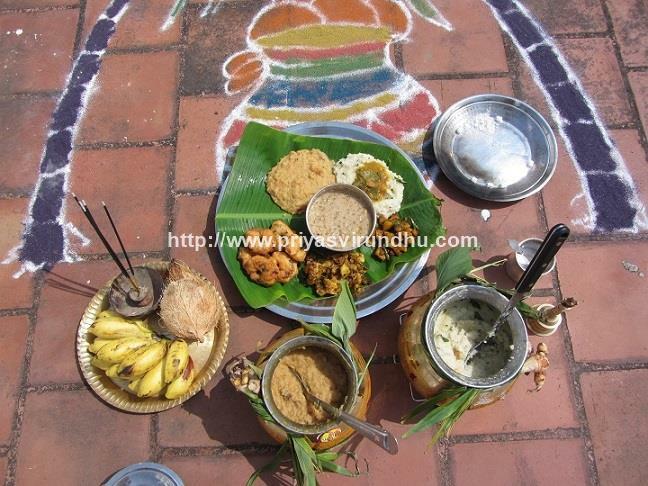 Thank you for visiting my blog, please come back again for more traditional recipes. Never tried this version, another which I will because its much loved for the beautiful taste. 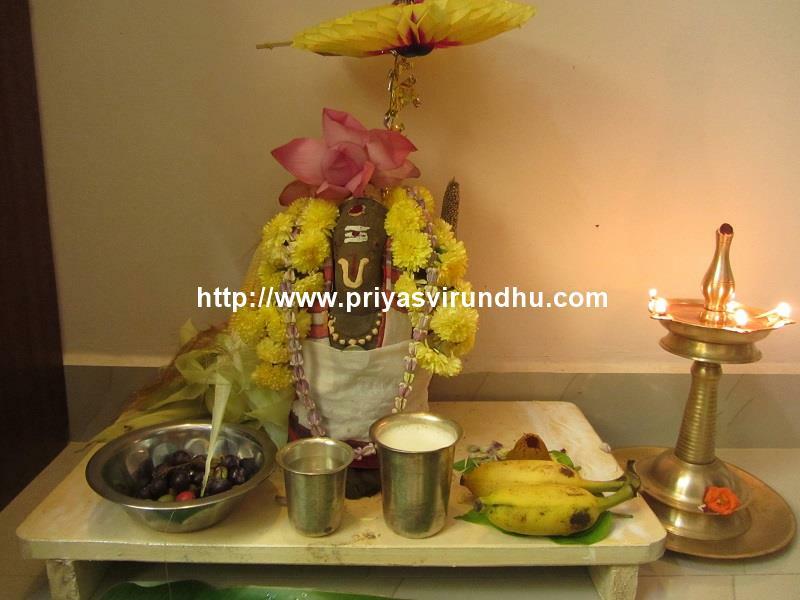 மிளகாய்க்கிள்ளிப்போட்ட சாம்பார் ஜோர் ஜோர். படங்களும் அருமை. 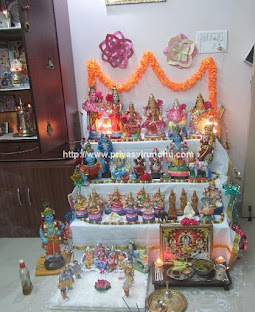 அப்படியே எடுத்துக் காரசாரமாகக் குடிக்கலாம் போல உள்ளது. பாராட்டுக்கள். 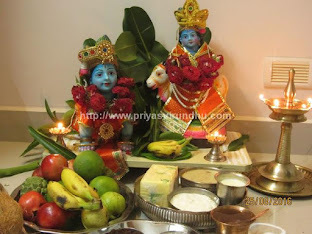 ப்கிர்வுக்கு நன்றிகள். i too make it similar, tasty n flavorful sambar rt?..love it with idly/dosa...yumm!! simple and delicious sambar !